Mrs. Rautray has established a formidable reputation as an arguing counsel in commercial and corporate law before the Supreme Court of India and various High Courts in India. 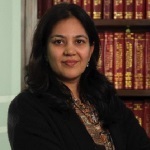 She has handled several complex commercial disputes relating to infrastructure projects, commercial disputes, construction disputes, taxation issues including the dispute relating to the construction of the Bhubaneshwar Airport and construction disputes arising out of contracts executed in Iraq and Libya. 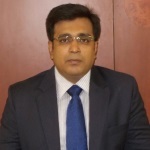 Mr. Gupta has worked with the Ministry of Information and Broadcasting, Government of India and thereafter was associated with a leading multinational pharmaceutical company before joining the legal profession. 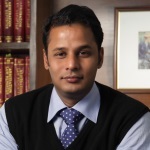 He was associated with a leading law firm in New Delhi for more than 12 years. 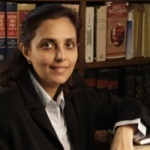 Mrs. Khurana has extensive experience in drafting of Joint Venture Agreements, Franchise Agreements, Employment Agreements and other Commercial Agreements and has handled proceedings before the Company Law Board, Tax Tribunals and Tax Departments (direct and indirect taxes) and the Competition Commission of India. She was also involved in several Mergers and Amalgamation proceedings before the High Court of Delhi. Mr. Rautray specialises in the fields of mining, construction, infrastructure, trusts, international trade, writ jurisdiction and taxation. He has significant experience of High Courts and Supreme Court, both as instructing and arguing counsel. He has acquired considerable expertise in drafting pleadings, claim statements and arbitration applications under the Arbitration and Conciliation Act, 1996. 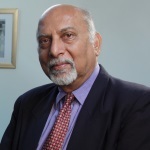 Mr. Samantray has invaluable experience in banking, arbitration, intellectual property rights, telecommunication, taxation, commercial and labour laws and was part of the legal team in relation to international commercial arbitration between A.E.S Corp. (USA) and G.R.I.D.C.O.